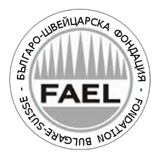 The FAEL Foundation was founded on December 7, 1995 in the city of Lovech, following the signing of a Memorandum of Understanding for Technical Assistance between the Bulgarian government and the Swiss Confederation with the objective to support agriculture by setting up processing and servicing enterprises. In the following years, the range of enterprises supported by FAEL was expanded and included small and medium-sized enterprises processing natural resources and contributing to a sustainable development. The activities of the Foundation can be divided into three periods so far. During the first phase of its activity the Foundation focused its activities on the Lovech and Gabrovo regions and in the valley of the Arda river (Smolyan region). The main objective of FAEL in those years (1995-2000) was to support the development of existing enterprises and to set up new ones through individual and collective consultations and trainings in Bulgaria and Switzerland. The experience of Swiss experts in implementation of know-how in new technologies, materials and equipment was used to its full potential. The second phase was in the period 2001 -2008. In this period the activities of the Foundation in the valley of the Arda river came to an end. The full capacity of the Foundation was focused on the Lovech, Gabrovo and Veliko Turnovo regions, and from the year 2003 the Pleven region. In addition, 2002 saw the inclusion of three new municipalities from Southern Bulgaria – Kazanluk, Karlovo and Pavel Banya. Support by the Foundation was extended to the forestry industry, traditional livelihood and crafts and rural tourism. The Foundation’s activities were divided into three departments – Credit Support; Management Consulting; and Technological Support. The FAEL Foundation credit support was linked with servicing the Swiss Guaranty Fund of the Swiss government set up in the year 2000 in order to promote small and medium-sized enterprises and to develop organic farming. The Fund’s size was CHF 1 million. In 2000 and 2001 the first loans were granted with the support of consultations provided by FAEL Foundation’s team. During that period, many individual consultations and training courses were provided to firms and a network of Bulgarian and Swiss experts was built up to assist the FAEL team. Until 2008 the main activity of the Foundation was concentrated in fulfilling the Agreements with the Swiss Agency for Development and Cooperation (SDC). The focus was on high quality of services offered and on seeking donors to aid local businesses. Contacts with the Swiss Import Promotion Program (SIPPO) and with the Swiss Organization for Facilitating Investments (SOFI) were activated, seeking opportunities to make FAEL into a regional center for providing various business services to small and medium-sized firms. Since 2009, the FAEL Foundation has continued working in the spirit of these agreements with SDC. It has concentrated its efforts in promoting production and processing of organic foods, establishing useful contacts between Bulgarian entrepreneurs and foreign ones, and with Swiss entrepreneurs in particular.